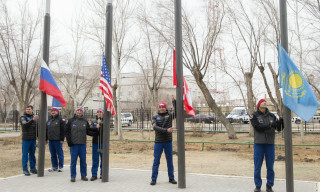 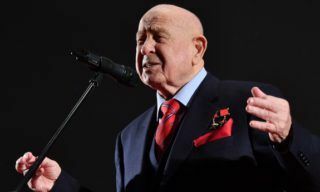 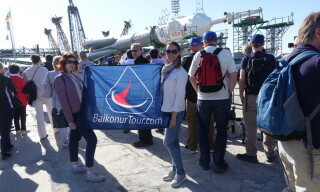 At the Baikonur cosmodrome, preparations are continuing for the launches of the “Soyuz MS-11″ manned spacecraft and the “Progress MS-10″ cargo spacecraft. 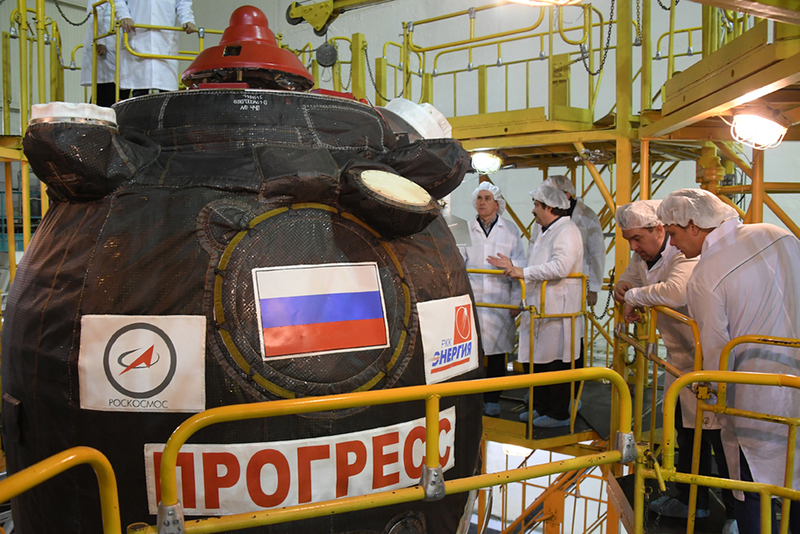 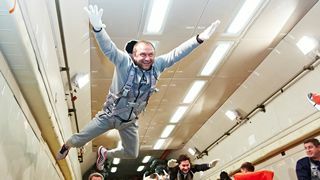 During the preparation of the “Soyuz MS-11″ spacecraft, the inspection of the ship’s systems and compartments for leak tightness in a vacuum chamber using helium-air conditions was successfully completed. 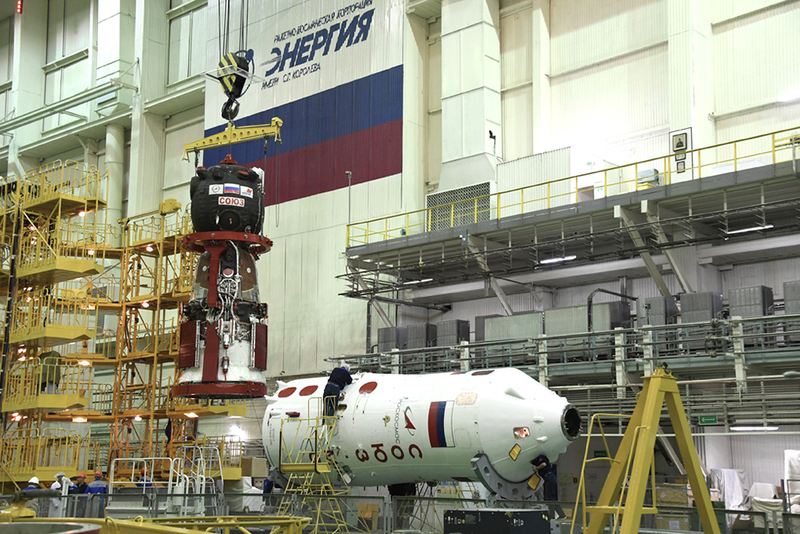 Then the “Soyuz MS-11″ was transported to the stand, where the ship is connected to ground test systems. 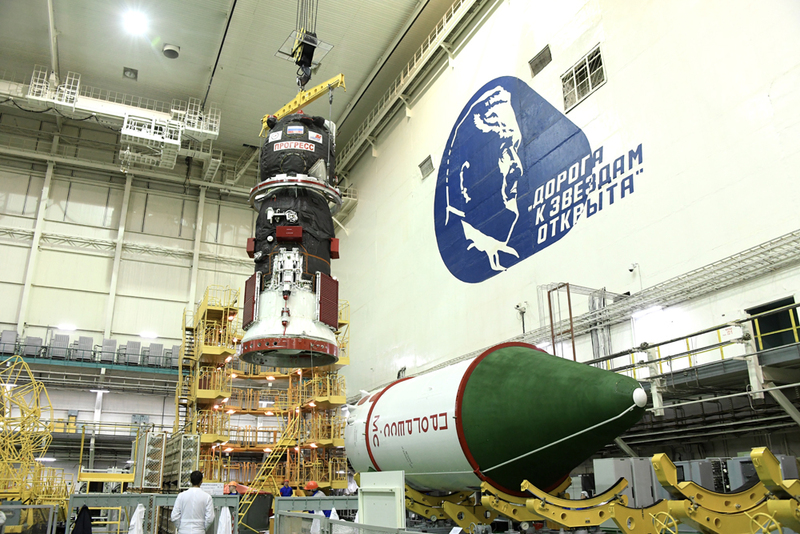 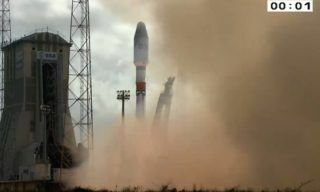 The launch of the “Soyuz MS-11″ spacecraft is scheduled for December 3, 2018. 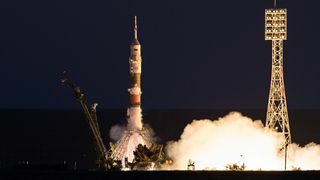 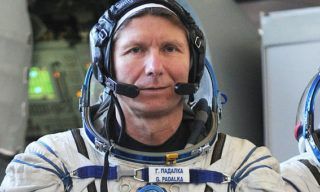 The crew of the ship – Roskosmos cosmonaut Oleg Kononenko (commander), David Saint-Jacques (CSA, flight engineer) and Anne McClain (NASA, flight engineer)- will depart for the expedition to the International Space Station. 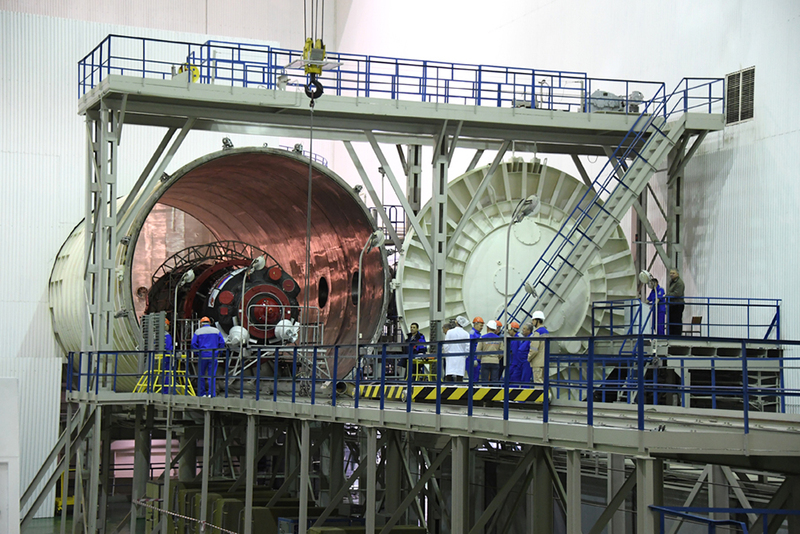 Also at Baikonur cosmodrome the RSC “Energia” specialists conducted a design inspection of the “Progress MS-10″ cargo ship and carried out technological operations on rolling the head fairing of the launch vehicle. 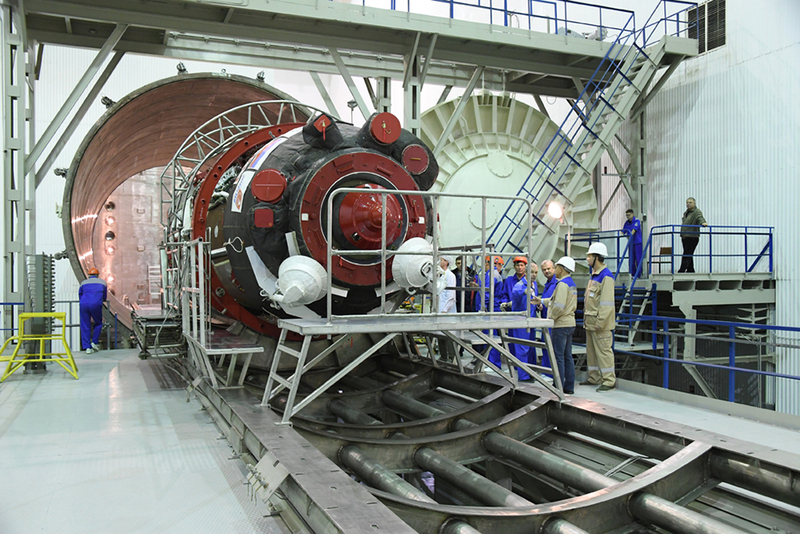 On November 12 the head unit with the “Progress MS-10″ was transported from the spacecraft’s installation and test facility to the launch vehicles installation and test facility. 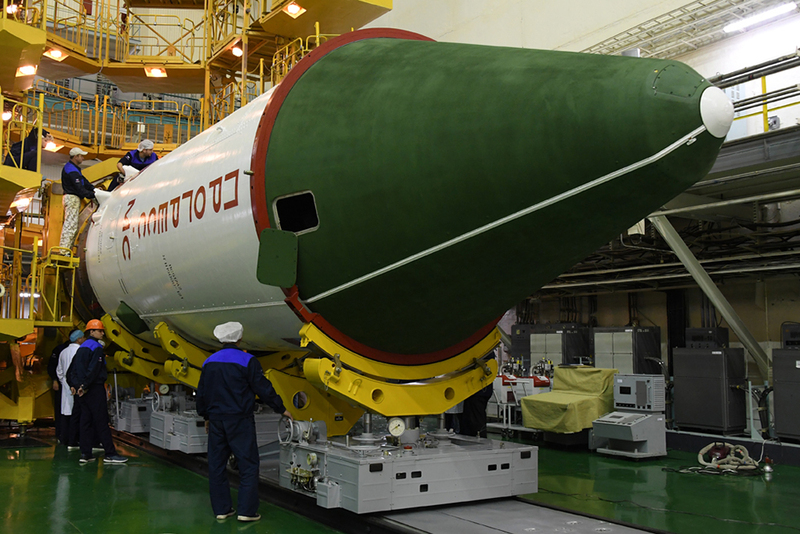 In accordance with the schedule of preparatory work, the general assembly of the cargo ship with the “Soyuz-FG” rocket will take place today, on November 13. 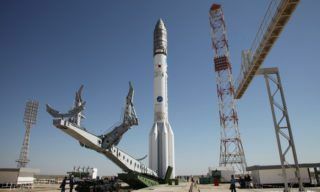 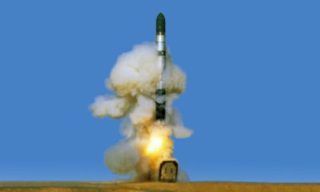 The launch of the “Progress MS-10″ cargo vehicle by the “Soyuz-FG” carrier rocket from the Baikonur cosmodrome is scheduled for November 16, 2018 from the launch complex № 1 (Gagarinsky start). 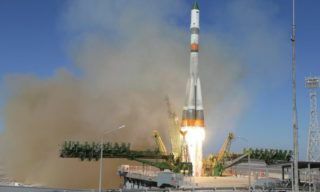 The ship will deliver to the ISS about 2.5 tons of various cargoes, including dry cargo, fuel in tanks and refueling systems, water and compressed gases.